A fresh New American spot has opened up shop in Santa Monica. Called The Rooster, the new arrival is located at 2301 Santa Monica Blvd. and features chef driven, farm-to-table cuisine billed as a "modernization of ancient cooking." The spot comes courtesy of Bruce Marder, explains the business on its website, a successful restaurateur and chef of the Foodco West group of restaurants. On the share-style menu, look for starters like cast iron clams, duck prosciutto and eggplant mozzarella; along with rustic wood-fired pizzas like the San Marzano margherita. Heartier dishes are on offer as well and include bone-in grass fed filet, Wisconsin veal chop and swordfish paillard -- each cooked over an open wood-fired barbecue grill. The Rooster has gotten an enthusiastic response thus far, with a four-star rating out of 10 reviews on Yelp. 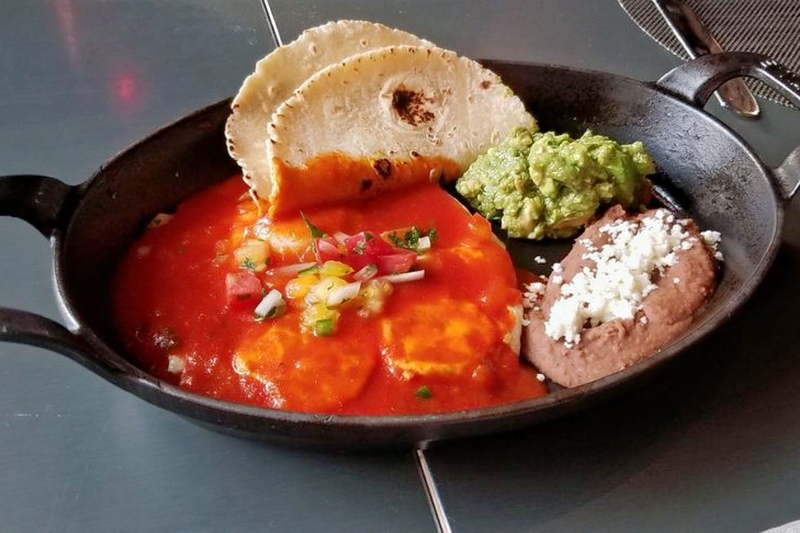 Monica B., who was among the first Yelpers to review the new eatery on Nov. 21, wrote, "Best restaurant in town! Amazing selection of high quality meats. Bruce Marder does it again!" "Very cute quaint spot with the delicious smell of their wood fire oven upon entry," shared Yelper T. Lynn J. "Eclectic mix of Mediterranean and American inspired flatbreads, dips, wraps and wood fire pizzas for lunch." Intrigued? Stop in to try it for yourself. The Rooster is open from 5:30-11 p.m. on Monday-Thursday, 5:30 p.m.-midnight on Friday, 9:30 a.m.-midnight on Saturday, and 9:30 a.m.-10 p.m. on Sunday.